Our range of products include tct integral steel drill rods, integral drill steel, tapered button bits, tapered rock bit, drifter bit and hollow drill steel. We provides a variety of integral rods in a full range of lengths and steel hex diameters for all of your hand-held pneumatic drilling needs. 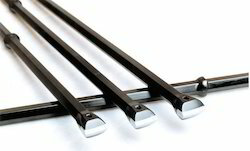 On request we can supply integral rods to custom length and gauges. We use the finest raw materials available, including premium steel and top quality carbide. 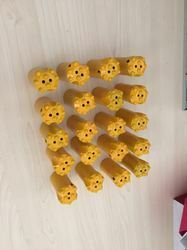 Shank Hexagon: 19 x108 mm, 22x 108mm, 25 x108 mm, 25 mmX159 mm 6, 7, 11, 12 degree taper in most lengths, taper degree of drill steel is mostly imports for excellent drilling productivity. For drilling medium-hard to hard and abrasive rock formations,Taper angles of 11 and 12-degrees are normally used on modern drill rigs, like our model no. PD-Y58 crawler hydraulic rock drill. Also for Y6, Y10, Y24, YT24, Mobile rock drill pneumatic and hydraulic. Tapered button bits are the most popular tapered drill bits with a wide selection of head diameters from 26mm to 48mm. With carbide buttons hot pressed on the bit skirts, tapered button bits have a good drilling performance and are excellent in longevity. We are holding the best position in manufacturing and supplying Drifter Bit to our clients. 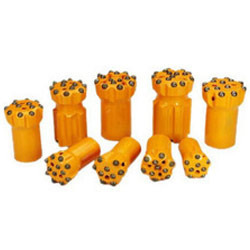 These drifter bits are basically used in dam construction, grouting, bench drilling, drifting, tunneling and underground mining operations all across the globe. We offer these products at affordable price to our clients and are highly applauded by our clients for their skilled engineered design, durability, reliability and accuracy. Looking for Top Hammer Drilling Tools ?